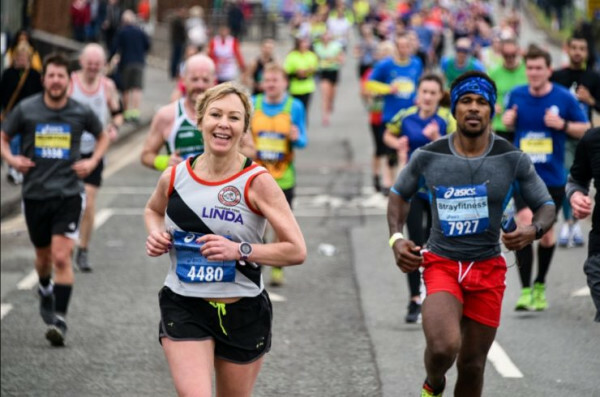 One of the world’s fastest, flattest and friendliest Marathons, perfect for those looking to set a personal best, and for those taking on the ultimate running challenge for the first time! 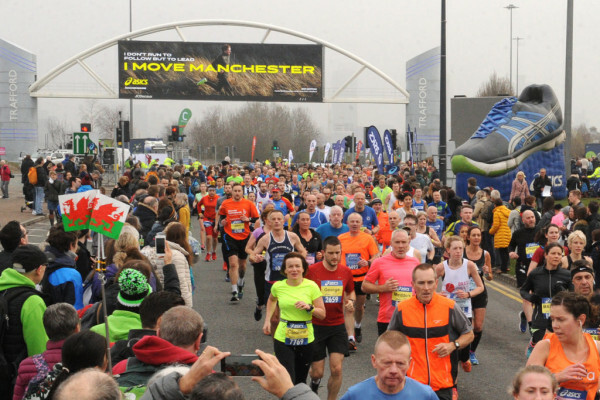 The Manchester Marathon is a fully accessible event and participants in a day chair or racing chair are welcome. Let us know if you are keen to take part and we will make all the necessary arrangments for you. If you are keen to take on a fantastic challenge, join us in this amazing race and help transform the lives of spinal cord injured people across the UK. All of our runners will get a special edition SIA branded race shirt along with a fundraising pack full of useful hints and tips, as well as training support and advice from our very own personal trainer. By signing the declaration to participate in this event, i acknowledge that the event has a fundraising target of £625 (not including the registration fee or Gift Aid) and I agree to raise sponsorship money to that amount or above. I agree to send all sponsorship monies raised to SIA no later than four weeks after the event date, and will inform SIA as soon as possible if there are any circumstances which may hinder my ability to reach the specificed fundraising target in order to discuss the options for participation. I further acknowledge that the event has a registration fee of £50 and my registration will not be processed until this has been received by SIA. A fundraising pack to be sent to you in the post? An electronic version to be emailed to you? Would you like us to provide any extra fundraising materials for your event (such as collection tins, balloons, flags or posters)? By signing this declaration to participate in this event, I acknowledge and understand that a marathon is an incredibly strenuous physical challenge, and that I am participating at my own risk. I agree that - to the best of my knowledge – my general state of health and fitness is good enough to allow me to compete in this event. SIA strongly advise that you consult your doctor or a medical professional before undertaking a challenge of this nature, and that if at any time you do become injured or unwell throughout the duration of the challenge, you immediately seek medical advice. A challenge of any natural can be very physically strenuous, and although you are raising funds and awareness for SIA through taking part in your own personal challenge, as opposed to taking part in an event organised by SIA, we would still recommend that you seek professional advice from a doctor prior to taking part. Please confirm that - to the best of your knowledge - your general state of health and fitness is good and that you take full responsibility for your health and wellbeing throughout the course of your challenge. I agree that in registering for this event, I am taking part in an activity in support of SIA, who are managing elements of the event, but that the event itself is administered by a third party company, who are a licensed event organiser. Only data necessary to the activity will be shared with this third party, and they will not contact participants at any time before, during or after the event without express consent from yourself. Full terms and conditions of entry into this particular event – as stipulated by the event provider - are available below. In taking part in this event on behalf of SIA, I also give permission for SIA to use any photographs, videos or testimonials taken throughout the course of the event to be used to further raise funds or awareness for the charity throughout all media channels. In taking part in this event on behalf of SIA, I give permission for SIA to use any photographs, videos or testimonials taken throughout the course of the event to be used to further raise funds or awareness for the charity throughout all media channels. Once you press the ‘submit’ button, we will receive a notification that you have registered to take part, and a member of our team will be in contact with you as soon as possible to arrange for a fundraising pack to be sent out to you. You will be re-directed automatically through to our online shop, but please close that page down as you do not need to pay any fees in order to register with your own place (don’t worry, we will still get your form). Starting at Lancashire County Cricket Ground, on the Famous Matt Busby Way, the course winds it way throughout the city, going past world famous landmarks – including most notably, the home of Manchester United Football Club (Old Trafford) – before visiting the different districts of Trafford Park, Stretford, Sale, Timperley, Altrincham and Urmston. 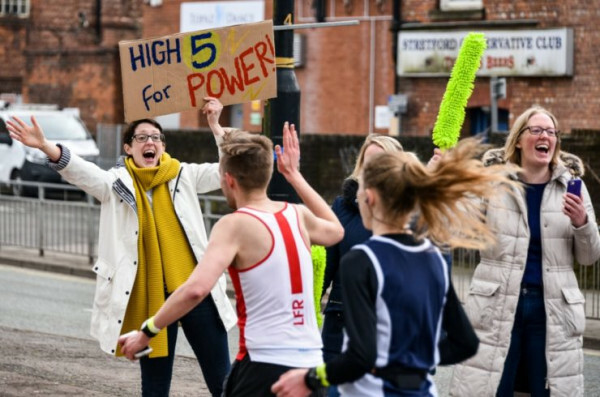 As in previous years you will be treated to performances along the course from Brass Bands, Steel Drum sections, DJ’s, Rock Bands, Dance troupes, Choirs and street performers from all walks of life, all helping to spirit you around the course! You can change the way SIA contacts you in the future at any time by contacting our Supporter Care Team via our online form here, or over the phone on: 01908 208 541. You can also find out more about how SIA uses your data and protects your privacy here.